I have been learning languages on and off for the past 20 years. Many years ago I learnt some Japanese as part of a tourism diploma. It was one of the best learning experiences I have ever had. After finishing my diploma, about year or so later I found myself living and working in Cologne, Germany. During my time there I was always enrolled in courses of German language learning. After returning home I started learning Japanese at Griffith University, however I was not satisfied with the pace of learning. I left to live and work in Osaka, Japan. Again I studied formally at a language school during my stay. I returned home again and completed my Japanese studies at university. I graduated with a Bachelor of Education majoring in Japanese and English. After completing university I left to work in Harbin, China. 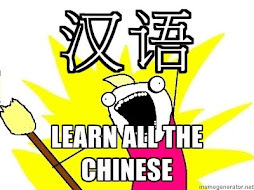 I had good intentions to learn Mandarin, but was undisciplined and distracted. I didn’t really study as I had done in Germany and Japan. This was ten years ago and I have regretted not learning Chinese properly. So I feel I have unfinished business with learning Chinese Mandarin and am once again enrolled in a formal course of language study at the University of New England studying for a Diploma of Modern Languages.